The humanitarian disarmament community lost a legend last week. Bob Mtonga, a medical doctor and long-time activist, died in his native Zambia shortly after returning from one of countless international trips to promote the protection of civilians in armed conflict. He was just 51. 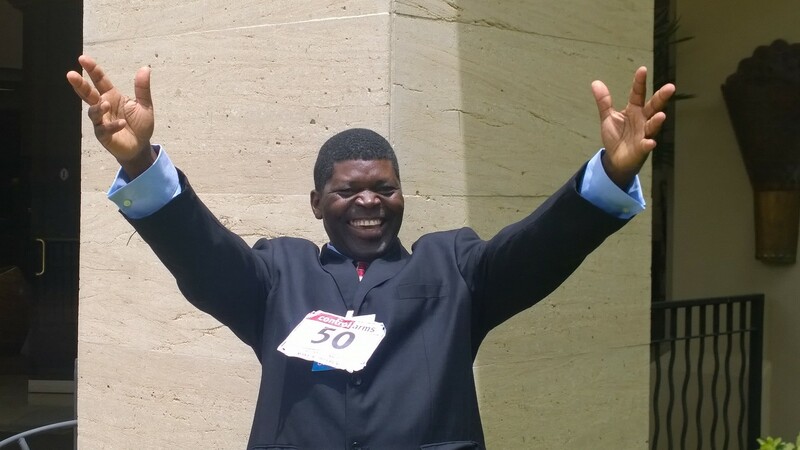 Bob Mtonga celebrates the ratification of the Arms Trade Treaty by 50 countries in 2014. Bob was a much-loved leader in the field of humanitarian disarmament, which seeks to end civilian suffering caused by indiscriminate and inhumane weapons. He campaigned for strong international law on nuclear weapons, and landmines, and cluster munitions, and the arms trade. He served on the leadership committees of several civil society coalitions and had been co-president of International Physicians for the Prevention of Nuclear War (IPPNW). In less than two weeks, the UN General Assembly will begin negotiating a treaty to ban nuclear weapons. This coming September marks the 20th anniversary of the adoption of the Mine Ban Treaty. Next year is the 10th anniversary of the Convention on Cluster Munitions. Bob contributed to each of these milestones. His absence at the nuclear negotiations and anniversary celebrations will be deeply felt. I met Bob more than a decade ago during the Oslo Process, which produced the Convention on Cluster Munitions. I came to know dozens of civil society advocates during those negotiations, but Bob immediately stood out as a campaigner and a personality. He was a lynchpin of the Cluster Munition Coalition (CMC), the global coalition of nongovernmental organizations (NGOs) that successfully campaigned to ban cluster munitions. He used charm and persistence to win the support of many African governments and persuade his own country to become a champion of the treaty. Thanks in large part to Bob’s efforts, Zambia hosted one of the annual meetings of states parties in Lusaka in 2013. Bob was an extraordinary campaigner. He was also an extraordinary man. 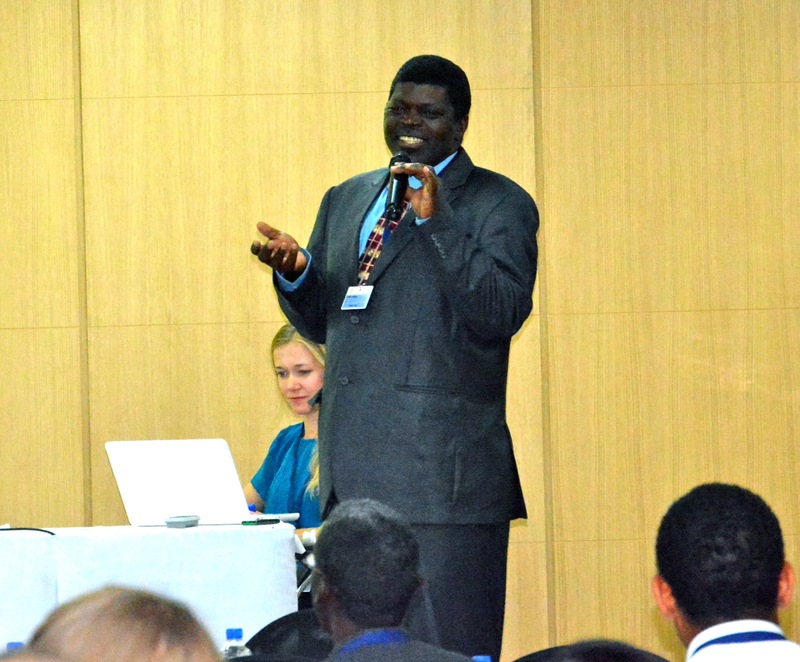 Bob Mtonga energizes CMC campaigners at an international Convention on Cluster Munitions meeting in Lusaka, Zambia, in 2013. For me, two images of Bob immediately came to mind—both from the international diplomatic conferences where I saw him multiple times a year for more than a decade. Whether I’m traveling to a meeting in Dubrovnik or Dublin, Laos or Lusaka, I know I’m nearing the end of the journey when I start running into fellow campaigners. Some will appear at key airport hubs, others at baggage claim or in the hotel lobby. In a groggy, jetlagged state, we usually ask about each other’s well-being and commiserate about long flights and lost luggage. The moment I ran into Bob was always one I looked forward to. Even though he had flown from Zambia, hours and hours away from almost all diplomatic destinations, he would approach with a broad smile and open arms, giving me—along with everyone else—a warm and welcoming embrace. I also remember Bob in his self-appointed role as campaign cheerleader. Disarmament days generally start early with NGO meetings held before the formal plenary begins. While Bob was not officially an agenda item, no morning briefing was complete without him snatching the microphone to wake us up with some amusing antics or inspire us with a pep talk. No matter how late we were up the night before, we’d leave the meeting with more energy thanks to Bob. After writing this tribute, I scrolled through hundreds of CMC photos, and not surprisingly, a large number of them showed Bob giving a campaigner a big hug or rallying the NGO troops with a microphone and a grin. Pouring through the photo albums also gave me the opportunity to reflect on the broader humanitarian disarmament community, of which I have been a part for more than 15 years. This far-flung but close-knit family reunites several times annually. We travel from the four corners of the earth and pick up right where we left off. New family members have joined. Others have tried to leave, only to return. And over the years, we have grown up—gaining professional expertise, getting married, having kids or grandkids, and gradually but gracefully aging. Bob was a fixture of that community and the first of my long-time humanitarian disarmament friends to pass on. It’s hard to imagine a campaign meeting without him. But his legacy will live on in the treaties he helped to create and in memories of him inspiring fellow advocates with love and laughter. For more memories of Bob, see online tributes from Control Arms and IPPNW.